Story Contracting’s Normanton team carried out their first core renewal Switch & Crossings (S&C) project for the S&C North Alliance team based in Doncaster over the weekend. They had two sites running simultaneously and each site was supplied with a Dozer, 4 RRVs, and a MEWP on self-drive. 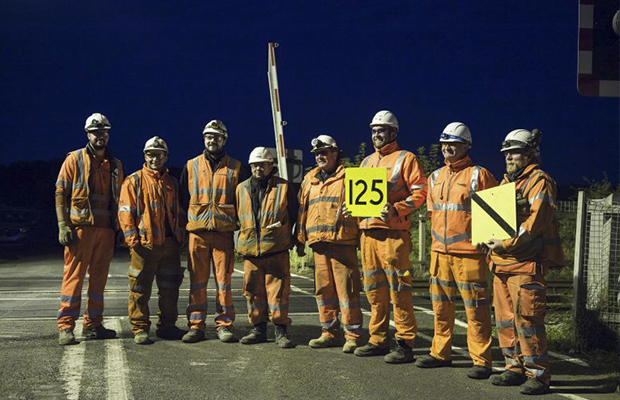 The site at Belford on the East Coast Main Line achieved a hand back at full line speed of 125mph. This speed is not only a first for S&C North Alliance, it’s the first time this line speed has been achieved on an S&C site anywhere in the UK. Works continue this weekend with the second core renewal which involves a second shift with increased productivity.